Need To Get Your Broken Appliance Fixed? We come to you! When it comes to getting your broken appliances fixed anywhere in the United States, we do it quickly and efficiently using hard-to-find local pros. 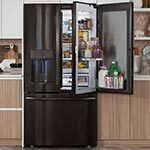 We just need to get some info about what has broken, make and model of appliance, and possibly some additional information to determine if we will need to order the parts of if we have them in stock. Once we know that we have a technician in your area and the parts for the repair we can schedule a visit. We’ll need the time you would like us to arrive, and the address where the repair is needed. If we already have your parts in stock, we can probably come out the next business day after your call. Our primary goal is Customer Satisfaction. 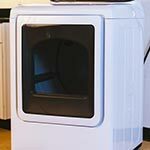 Don't spend thousands on new appliances! Fix your broken ones and SAVE! 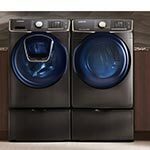 Get Appliance Repairman that can handle nearly EVERY major appliance break down. Plus, We'll Come to YOU! Unfortunately, everything breaks eventually. It's the price we pay when using something that's consumable - and this goes with appliances as well. Luckily, you don't have to go out and spend thousands of dollars on brand new appliances to replace your old ones when they break. Here at AWG Appliance Repair, we specialize in repairing broken appliances to help you save money. 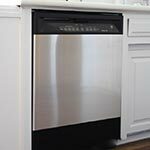 If you have a broken appliance, such as a dishwasher, washer, dryer, or refrigerator, give us a call to get it fixed. We can help you get just about any major appliance back in working order! Clean clothes are essential. Our technicians can help you get this back. A broken refrigerator is no good. Luckily, this is one of many things we can fix. Don't settle with doing the dishes by hand. Call us to fix your dishwasher. Having a problem with your stove not working? We can help. We don't let make, model, or age slow us down when it comes to you getting your old appliances working like new again.